No longer in operation, Nordic Airways was a much loved airline based in Stockholm that ceased flying in 2009. But the spirit lives on and through the Nordic Airways name, we present a shop window of Flights and associated Travel Services to, from and within Scandinavia. 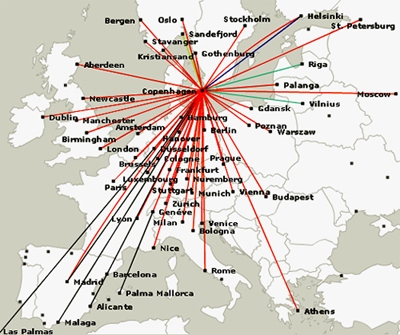 Click in the SAS Route Map, to the left, then search some of the other options below for all your best travel choices to Scandinavia.